Facial fillers and facial injectables like Botox work to relax and reduce the activity of certain muscles. They can not only be prescribed for cosmetic purposes, such as raising portions of the face, but can also be used for medical conditions. They may be effective helping in Bell’s palsy patients, those suffering with migraine headaches, hyperhidrosis and masseter hypertrophy. By relaxing and reducing the activity of the muscles, Dr. Talei can greatly improve the appearance of your wrinkles, from the moderate to more severe wrinkles. These facial fillers and facial injectables can raise your eyebrows and mouth corners. They can also work to eliminate the vertical bands that may be present in your neck. 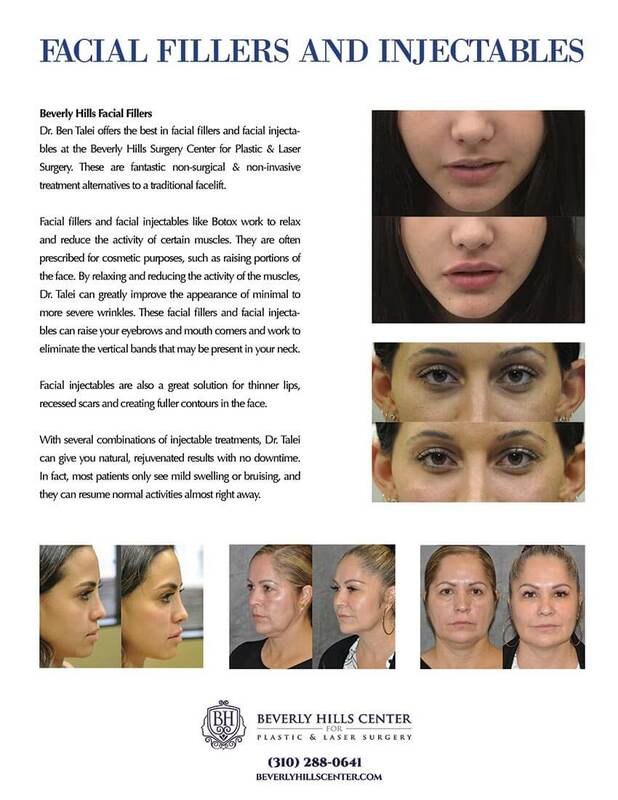 Facial injectables are a perfect solution for thinner lips, recessed scars and creating fuller contours in the face. Injectable fillers are non-invasive and provide a gentler approach to the traditional, surgical face lift. With several combinations of injectable treatments, Dr. Talei can give you natural, rejuvenated results with no downtime. In fact, most patients only see mild swelling or bruising, and they can resume normal activities almost right away. While they are temporary solutions and not as dramatic as surgical face lifts, facial injectables and facial fillers are a great solution. Dr. Talei is a specialist in his field with a rare skill-set comprised of an artistic eye and delicate hand in surgery. 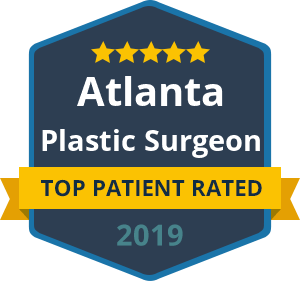 He has dual fellowship training in facial cosmetic and reconstructive surgery and vascular birthmarks and congenital anomalies with laser surgery, giving him the upper hand in both knowledge and expertise. Contact us today to schedule an appointment.